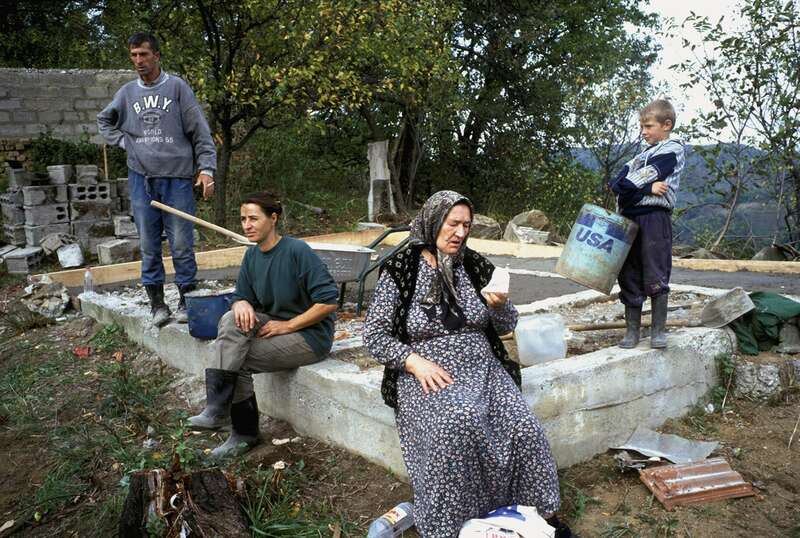 In the hills above Srebrenica, a Muslim family returns to rebuild a house destroyed during the war. By the year 2000, when record numbers of Bosnians finally felt safe enough to begin returning home, the international community began to suffer \"Bosnia fatigue,\" withdrawing resources and moving to other parts of the world. The result was that only 22 percent of those wanting to return home in 2000 received aid to do so, despite the fact that the right to return home was one of the founding principles of the Dayton Peace accords, which ended the war in late 1995. October 2000.